Should I be a Recording Artist, Songwriter or Producer? Today I got an excellent question which is one which you may often ask yourself. Pharrell Williams – With his massive worldwide #1 hit “Happy”, and huge collaborations with Daft Punk (“Get Lucky”) and Blurred Lines (Robin Thicke) many people might think of Pharrell as one of the most successful recording artists around. When you dig into his collection of tracks for other artists however, you will find he is even more prolific at writing for other stars. His credits for just one year includes penning tracks for Paloma Faith, Kylie Minogue, Daley, Miley Cyrus, Beyonce, Nelly, Madonna, John Legend, Jay Z, Mika, Kelly Rowland, Britney Spears, as well as working on film scores with the like of Hans Zimmer (Spiderman 2). Pharrell’s quarterly royalty statements must get delivered in a truck! Ryan Tedder – You may know him from the band One Republic (watch the “Counting Stars” video below to see his wonderful hook-writing talents) and The Voice TV show, but did you know he also penned the smash hit “Burn” for Ellie Goulding? He also penned tracks for The Fray, Sara Evans, John Oates (of Hall and Oates), Beyonce, Tiesto, David Guetta, One Direction, James Blunt, The Wanted, K’NAAN, Leona Lewis, Jennifer Lopez… the list goes on. Ryan Tedder from One Republic has also penned huge hits for many artists including Ellie Goulding. I always tell my coaching clients that a song is never wasted. You can write for your own projects, but if a great track just doesn’t feel right for you it might be “write” for someone else! One of the keys to making a living in the Music Industry is to create “assets”. 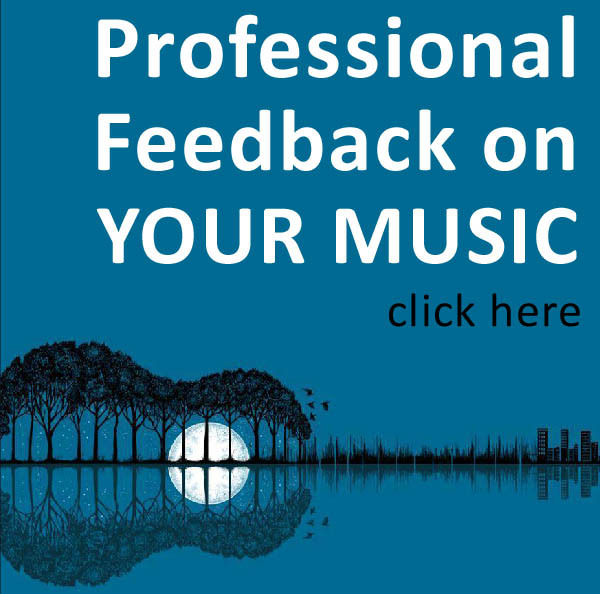 Every track you write is an asset which can potentially work and earn royalties for you for the rest of your life. An older neighbour of ours still gets a royalty cheques for a recording of the brass band he played in forty years ago! Many of the greatest songwriters alive are names you will have never heard of. They make a wonderful living writing for other artists and their “assets” earn them continual passive income. I have seen this many times in my life where a track I wrote a few years ago suddenly gets pulled into the limelight – this doesn’t happen with many other creative pursuits. One track ‘Coming Home’ on our most recent album Open Up was never released as a single, but suddenly gained huge popularity when featured on the most popular TV show in Brazil which airs to 30m viewers every night. So focus on writing tracks, but detach yourself from the outcome of the track whilst you are writing it. If it works for your own project – great. If not, start pitching it to artists you feel it could compliment. You never know what may happen. Got a question for Mark? Submit your question here and you might get your very own blog response! 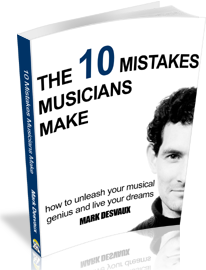 Would you like to try one-to-one coaching with Mark to explore your dreams in music? Book your free 20 minute session now. 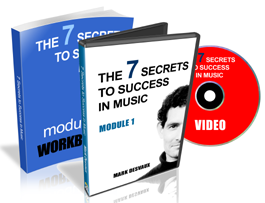 Start Mark’s self-study video course today. Enrol now.